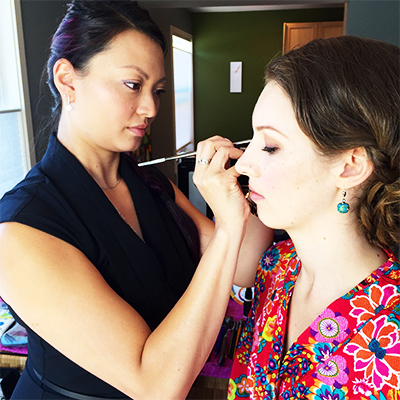 LiSun Goh provides on-location makeup and hair styling services for your special event. Using only the highest quality cosmetics and hair products with talent and attention to detail. She provides both airbrush and traditional makeup to ensure your makeup application will still look fresh at the end of your special night! Please contact LiSun for more details and pricing. An enhancement of your natural eyelashes without the use of harsh chemicals. This process can take up to 1.5hrs long. Please note that you must keep your eyelashes dry and makeup free for 48hrs after the treatment to ensure a longer lasting effect.